A deeper sense of self love and self worth? Greater health, happiness and fulfillment? Clarity about who you really are and why you’re here? 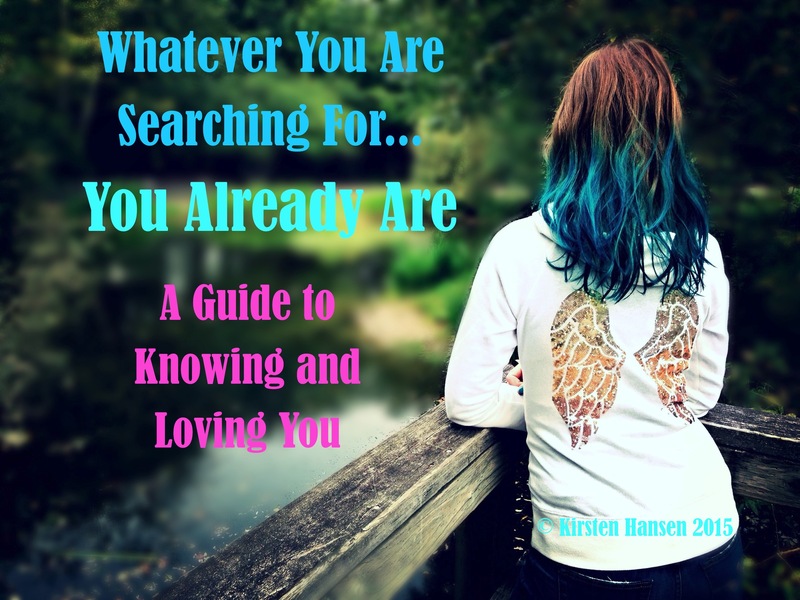 Whatever You Are Searching For…You Already Are is an encouraging guidebook for anyone seeking a greater understanding of who they are, why they are here, and a deeper connection to themselves and the rest of the world. It is a resource to help one discover their innate truth, gain clarity and compassion for their journey, love themselves more fully and recognize and embrace their own infinite magnificence. Follow along on a FREE life-changing journey as I blog my book. Each blog post is filled with inspiring content and healing tips… so you don’t want to miss out! To read my book thus far, check out the Table of Contents. “Thank you so much for sharing this words that I needed to read today. I definitely resonate with them. They have encourage me to face the fear of truly being authentic in my relations. It can be scary but oh so necessary. Thank you for sharing your light through your writing. I am so happy to read as well that your planning on a book 🙂 Thanks for being Kirsten. A huge hug from my heart.” – J.M. “[Your Posts] hit me like a ton of bricks, but in a good way! I came to tears. It was like you reached into my soul. I can’t explain it. It felt like you were speaking directly to me. It is so wonderful and refreshing to know that there are people in the world that can relate to everything I’ve felt my entire life. Opening up to people and loving myself are the toughest challenges in my life. People have never truly understood how I felt, but your words released some of that pressure. Your words are my reflection. I was staring at myself. Reading your posts really touched me, Kirsten. Please don’t stop. Don’t let anyone stop you. I can’t thank you enough. Please keep up the great work. So many people need to read your words. They are life changing.” – David R.
“Wow Kirsten, this [post] is beautiful and it really touched me. You’re an amazing writer. You DO need to have courage to live authentically. I applaud your fearlessness. I’m going to read this again, and I’m sure it will continue to inspire!” – M.W.